Most cases of muscle strains and soft tissue injuries are reported in the upper back region. In most cases, these injuries can be attributed to sudden or unexpected movements of upper body (especially if the individual is struggling to lift heavy weight without proper warm-up) that leads to pulled muscle in upper back. Experts and healthcare professionals believe that such injuries are usually a result of gradual tightening of muscles as a result of abuse/overuse of connective tissue elements and chronic poor posture. Muscle tightening due to poor posture can lead to persistent spasm of muscles that compromises the circulation of blood, eventually leading to muscle weakness. If you have experienced moderate strain, your torn muscle might feel slightly stiff but flexible for use. 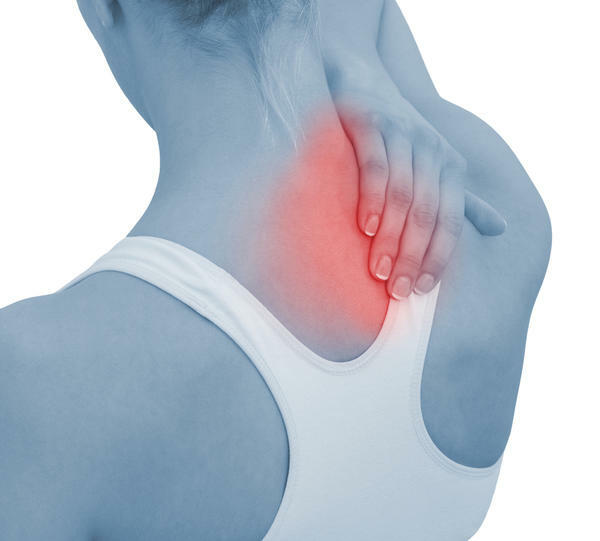 However, if the strain is severe (characterized by severely torn muscle/connective tissue elements) you may feel extreme pain and restriction of back movements. How Does a Pulled Muscle in Upper Back Happen? Put some ice over the pulled muscle by wrapping the icepack in a bandage and rolling it on the pulled muscle. The bandage will help keep the ice on the affected area. The compression from it will protect the muscle from further inflammation and injuries, while also aid in reducing edema. Anti-inflammatory medications are generally recommended by healthcare professionals including ibuprofen and aspirin to control the severity of pain, inflammation and swelling of muscles. After the swelling resolves, continue the medications for 24 hours at least. Sit comfortably by resting your back and avoid engaging yourself in strenuous exercises that may cause additional strain on your damaged/torn muscles. Rest and relaxation on an injured or torn muscle helps in the healing process. Back massage can help a great deal in certain cases. This is mainly because, massaging relieves the muscle spasm that is primarily responsible for your pain. Rubbing the muscle gently can provide ease by re-establishing the circulation and alleviating edema. Maintain adequate posture, which demands that torn muscles should be placed at or above the heart level in order to prevent or control the pooling of blood in the muscles. In case of pain in mid or lower back, lie down and in case of pulled muscle in upper back sit straight or lie down on soft pillows. After following above instructions for at least 24 hours, apply some gentle heat to soothe and relax the pulled muscle. Heat can be delivered by hot showers, pads and baths. Apply rubs or balms to relieve pain, like arnica. It is imperative to mention that above mentioned remedies are not supposed to relieve your pain and tightness of muscles within 24 hours. Pulled muscle in upper back can be extremely painful halting your routine and creating daily life health problems if not treated on time. For chronic or disturbing pain, consult back specialist or a chiropractor, or visit a healthcare professional in emergency department in case of severe symptoms. Avoid junk food and eat balanced and healthy diet. Healthy food helps in keeping the bones and muscles of your body strong. Keep an eye on your body weight. Putting up excess weight can add stress to your back muscles which may result in pulled muscle in upper back. Develop a habit of exercising regularly. Add stretching to your regimen. It will help your joints in maintaining optimal health and flexibility. In order to minimize the risk of falling, adopt some measures for your safety like keeping the floor dry and non-slippery. Use appropriate shoes when out of home and keep your house clutter free. Keep your postures right when sitting and standing up or lifting anything. Lift things with back straight and shoulders well-supported. While sitting, feet should be flatly placed on floor with knees bent. Avoid smoking as it harms the flow of blood to the muscles. When lifting objects, lift with care by bending knees and keeping the back straight. Do not keep the weight away from body. Don't twist while lifting the object. Before starting and after the exercise, stretch yourself to prevent the muscles from hardness. If you are a beginner at exercising, start gradually and give time to build up stamina. Keep the anatomical limitations of your body in mind to avoid injuries.